Experience the spectacular scenery of the ancient Royal Hunting Forest. 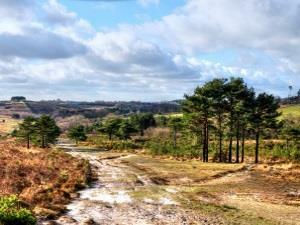 Ashdown Forest is a large open area of heathland together with pine, birch and oak woodland in the High Weald Area of Outstanding Natural Beauty. It is famous as the setting for the ‘Winnie the Pooh’ stories written by A. A. Milne. A walkers’ paradise, visitors are free to walk wherever they like with over 80 miles of footpaths. There are plenty of secluded picnic areas and free car parks. You will be sure to enjoy the tranquillity of this magic and mystical place.